Today's post originally ran as a KUFM Commentary by Hellgate Hunters & Anglers Board member Kit Fischer. I've visited the East Rosebud River every summer I've lived in Montana. Flowing North out of the Absaroka-Beartooth Wilderness, the East Rosebud winds for some 30 miles before it’s joined by other aspen-lined tributaries- eventually flowing into the Stillwater and the Yellowstone River near Columbus. The water runs cold and clear, with very little diverted for agriculture and nearby development. 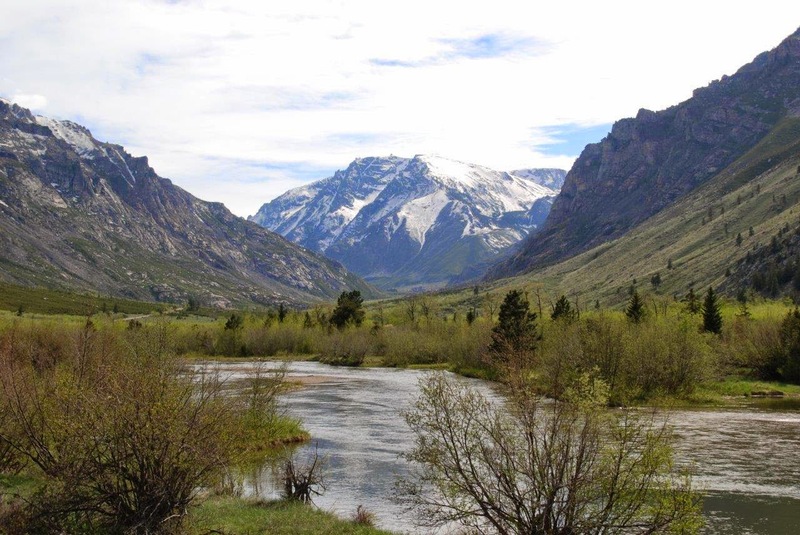 By late August, when other streams feel like luke-warm kiddy pools, the creek remains cooled by the high elevation snowmelt fed from the 10,000 foot Beartooth plateau. Rainbows, cutthroats and brown trout feed voraciously – even during the middle of the day, feasting on the thousands of grasshoppers blown in from the gusty winds that come down the granite canyons to the south. The bird life is equally spectacular – western tanagers, yellow warblers, rare broad-tailed hummingbirds and far off, the eerie call of what sounds like some prehistoric pterodactyl, the trumpet of a sandhill cranes fill the valley. The river is lined with thick willows, redosier dogwood and aspen thickets, forming a nearly impenetrable fortress from would be wade fishermen. The stream still flows how an old mountain stream should; the cut-banks constantly shift during spring runoff and the willows and beavers take care of the rest. Its fine gravel bottom reflects sunlight from mica and quartz instead of beer cans and bumpers. In 1989 the Forest Service deemed a seven mile section of the creek suitable for federal Wild and Scenic designation, although Montana hasn't awarded a new wild and scenic designation since 1976. Between the challenging access, icy cold waters, hairpin turns and beaver dams, the river (although probably more accurately, a creek) does a pretty good job of keeping itself a secret. I've only taken a handful of good friends fishing there in the 20+ years I've made my yearly pilgrimage and I've never seen another soul on the river. We usually haul over my family’s venerable aluminum Grumman canoe. A now ancient relic that my folks acquired in the 70's and has probably explored more Montana rivers than I could list. It’s virtually indestructible. A tank of a canoe, it’s probably worth more in scrap metal than its resale value as a watercraft, but it has never let us down, even after dinging rocks loud enough to alert every fish in the river. But even the best kept secrets don’t last. I should have known better—it’s often the secret places that are most overlooked for their recreational and wildlife values when energy development and resource extraction come along-- and the East Rosebud is no exception. 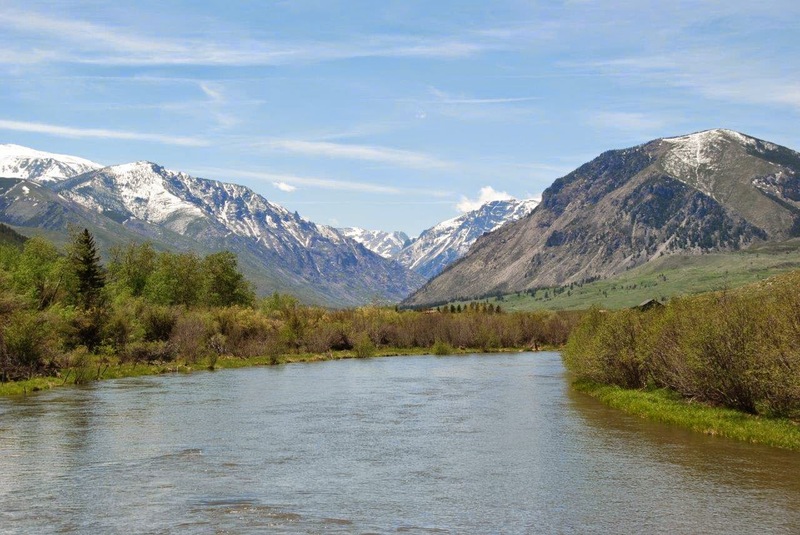 A Bozeman energy development company has recently announced their interest in exploring the possibility of developing a hydro-power site on the river. A dam would be located just upstream from my “secret spot”. It seems to be the catch-22 of all the great hunting and fishing spots that I’ve frequented in Montana. If it’s an easy place to get to, and the wildlife is abundant, the secret won’t last long—but at least it will exist for future generations. 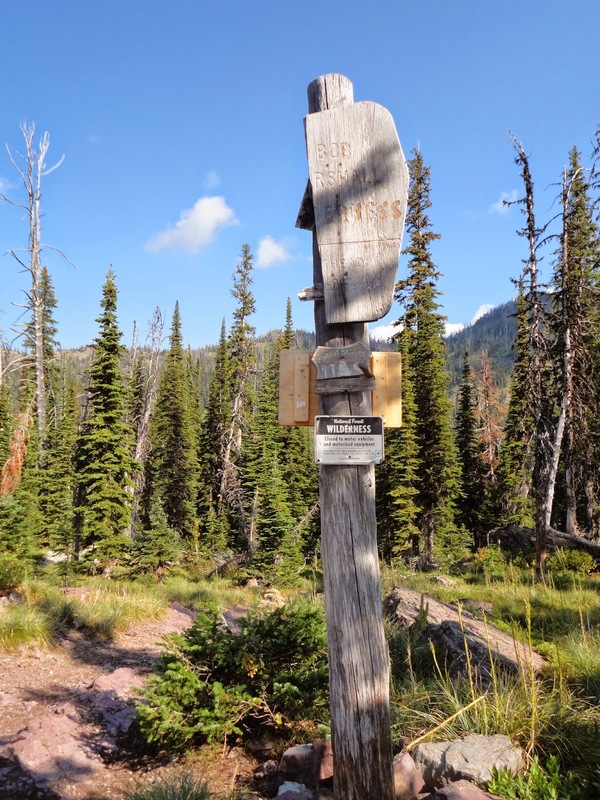 It’s the places that take a little extra effort to access – via two track, rutted dirt roads, singletrack trails and bushwacking-- not highways and hotels-- that tend to hold the best kept places. These places are naturally guarded from becoming huge tourist destinations, but not guarded from development- and Montana’s got plenty of them. Maybe this year when I make my trip to the East Rosebud I’ll bring a couple more friends along and hopefully in return they will show me some other tucked away secret Montana place. Most hunters and anglers like to swap tales—whether of a 30-mile day on horseback, a big trout that just got away, or a 12-mile hike through snowdrifts in pursuit of an elusive bull elk. For me, my most formative backcountry experience came in 2012, when I spent 10 days alone in a Forest Service cabin in the Bob Marshall Wilderness in Montana. “The Bob” was one of the very first wilderness areas created after the 1964 Wilderness Act, and today the entire Wilderness Complex includes over 1.5 million acres and is the third largest wilderness area in the Lower 48. I’d spent long weeks in the Bob before, but never by myself. My solo backpacking experiences up to that point had consisted of one and two nighters. I was excited – for the chance to be out by myself in the complete and utter quiet; to explore, hike, and fish on my own; and to spend as much time as I wanted writing in my journal or reading. I was also nervous – about the possibility of running into a grizzly bear, or – worse yet – a human that didn’t have good intentions. I did manage to get more comfortable as the week went on. Nights were hardest – I waited as long as I could before going to bed, squinting to see my book under a combination of starlight and my headlamp. 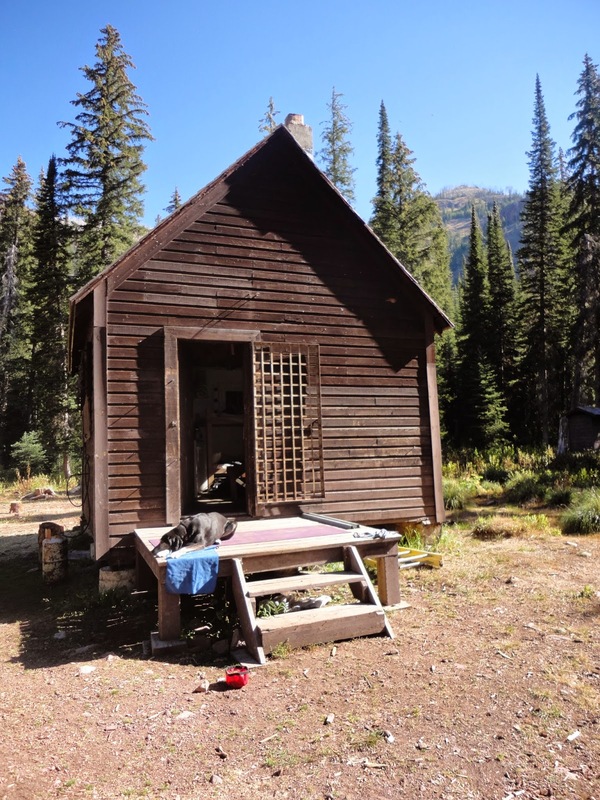 Once I laid down on the old USFS mattress, my mind would prick and startle at any little sound, whether at a deer tromping through the woods or the hordes of mice scuttling about in the rafters. I was perfectly safe, shut up into the cabin with my dog sleeping by my side, but I was still a little on edge all night long. But just as the night brings out the strange fears that usually dwell beneath the surface of the brain and twists and shapes them into surreal, unimaginable things, the morning does the opposite. I’d wake early, unlatch the front door to the small cabin, and let my dog out to sniff any new smells that had emerged overnight. The morning air was usually chilly. I’d grab a hat and jacket, pick up the metal pot from the stove, and carry it down the narrow game trail to the small creek running beside the cabin. Holding the pot under the surface of the water, I’d watch hundreds of startled scuds and nymphs scatter in the loose sediment. The sun left its dappled imprint on the creek, making the river rocks gleam red and purple in the light. Back at the cabin, I sat in the sun on the front porch, waiting for the water to boil, watching songbirds. Groups of red crossbills flew in dangerous loops around me, flitting and chirping as they hopped among seeds and pieces of grit on the ground. Sometimes one or two of them would fly so erratically that they’d end up inside the cabin. They’d alight on a chair, perhaps the stove, before shrieking a bit in alarm and taking to the air again to try and find a way back out. I’d read somewhere that the less intelligent species were actually the most brazen. It was the smarter types who seemed glad to keep their distance. Each day, I’d wait for the light to lengthen and air to warm before I set out on a hike. Ten days, alone in the wilderness with nothing to do, nothing to accomplish except to follow any desire or impulse I had. Mostly, I wanted to hike and fish, to climb the trails leading to high alpine lakes and cajole tiny, naive cutthroat trout to take my fly. To watch the fish cruise the edge of the deep water and rise from the blue depths to chomp at my Royal Wulff, over and over again. Aldo Leopold once asked, “Of what avail are 40 freedoms without a blank space on the map?” Because of philosophies like his – and those of Mardy Murie, Wallace Stegner, Sigurd Olson, and Bob Marshall himself—today we are fortunate to possess ‘blank space,’ to have access to majestic and irreplaceable wilderness areas. Yet for me, ‘blank space’ is not exactly the most fitting term. For one thing, this phrase seems to compare wild areas to white canvas, places that we humans can fill and color with our own narratives, our own desires. Our stories are part of the wilderness, but not all. And this sentiment also turns the wild once again into another place to fill with something, to provide us with what we need—whether solace, escape, or a fulfillment of some fantasy. So I’m not sure what the best term is, how to best describe the absolute need for wilderness. I’m so grateful to have these wild areas—to walk in them, wonder in them, marvel in them, and even cower in them from time to time. I’m enormously indebted to all who came before me, all who fought tooth and nail to preserve the little open space, intact floodplains, and big landscapes we have left. For me, wilderness—especially on a solo trip like the one I took in 2012—offers me a chance to see and feel myself raw. To feel alive, open, vulnerable, and capable all at once, against a backdrop of open sky and water. Wilderness offers us completely incomparable opportunities: swimming naked in a high alpine lake, spotting a grizzly bear from 50 yards away and watching it lift itself onto its back legs, or stumbling upon a waterfall surrounded by moss and wildflower. The year 2014 marks the 50th Anniversary of the Wilderness Act. Find out more about upcoming celebratory and commemorative events in Montana at wildmontana.org/join-us/50th-events.